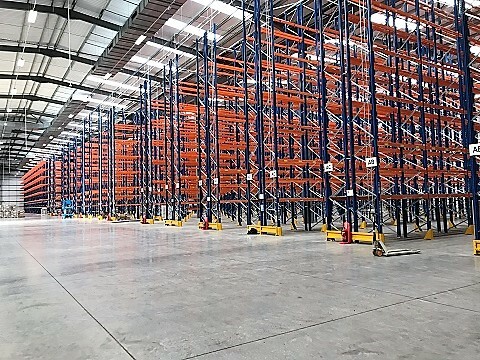 Warehouse Storage Solutions has been awarded a substantial tender after competing against numerous competition for the sole contract to remove various storage systems from sites all over England. The Land Registry invited WSSL to tender for the removal of various storage systems after receiving a recommendation about the quality of our work and our eye to detail. We were asked to visit sites from Durham to Plymouth and submit specifications and tenders for all 10 sites. After 2 weeks of dedicated work to The Land Registry WSSL submitted all 10 tenders and was awarded the contract. The first part of the contract was to remove shelving and mezzanine floors from their 2 sites in Durham. The 2 sites totalled 25,000 square feet and involved disconnecting electrical services and gas services and removing all light fittings (under WEEE regulations) and then dismantle and remove all the shelving and mezzanine floors from both site. After completion of removing the storage systems we then removed goods lifts, blocked up openings and removed all the carpet glue from the warehouse floor. The second phase was to remove shelving, ceilings, M&E services, carpet and lighting from their site in Telford. This site was made up of 7 industrial units totalling 35,000 square feet. After completing the Telford site WSSL moved onto the Leicester site of which comprised of 2 units totalling 15,000 square feet and involved removing shelving, mezzanine floors, gas heaters, carpets and gas heaters. Since completing the Telford site we have also removed a 2 tier shelving system, gas heaters and pipework, mezzanine support structures, goods lifts and carpeting from their Birkenhead site. We are starting the Wolverhampton site next and then moving onto Coventry, Peterborough and 2 separate sites in Plymouth. So far to date, all the sites have been a great success and a great relationship is continually building between The Land Registry and Warehouse Storage Solutions. Keep an eye on our projects section of the website for update events of how this project is progressing.